With rich industry experience and knowledge, we are engaged in manufacturing, exporting and supplying a wide assortment of high quality Designer Suit, Bollywood Designer Suits, Ladies Designer Suits, Party Wear Fancy Suit, Exclusive Designer Suit, Traditional Anarkali Suit, Party Wear Suit, Exclusive Fabric Suit, Traditional Fancy Suit, etc. These suits are designed by our experts using high grade fabric with the help of advanced stitching machines as per the latest fashion trends. The offered suits are available in varied colors, designs, sizes and patterns as per the specific requirements of clients. These suits are known for features like colorfastness, skin-friendliness, smooth texture, elegant look, fine finish, beautiful pattern and durability, we offer these suits at industry leading price. Our product range includes a wide range of cotton suits, lt vol 35 kurti by lt, georgette suits and rinaaz by deepsy suits. Leading Manufacturer of muslin vol 3 by deepsy, zarima by kapil fab cotton suits, kohinoor suit pashmina by sargam, cotton anarkali suits and cotton lawn suits from Delhi. Offering you a complete choice of products which include bollywood suits, glossy simar minaz suits, kulfi ladies suit vol 3 by avc, cotton suits and designer cotton suits. 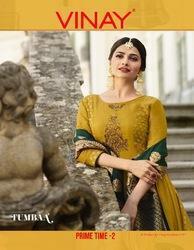 Manufacturer of a wide range of products which include tumbaa prime time vol 2 by vinay, long anarkali suit, designer anarkali straight suits, embroidered anarkali suit and anarkali salwar kameez. Our range of products include designer gown collections, bollywood suits, lavina 32 nx and georgette suits with koti. Our range of products include designer bollywood suits, lavina suits, bollywood suits, ladies georgette suits and designer suits. Our range of products include lavina suits, khwaab by sanna ladies suit, shehnai bridal suit by shree fab, zareen by levisha suit and exclusive designer suits. Providing you the best range of cotton suits, pakistani ladies suits, pakistani long suits and pakistani suits with effective & timely delivery. We are a leading Manufacturer of denim suits, designer fancy suits, designer anarkali suits, designer long straight suits and designer suits from Delhi, India. Our range of products include bollywood suits, maharani suits, designer suits, mahira designer suit by aashirwad and suhati faux suits. We are a leading Manufacturer of bollywood suits, indian designer suits and suzen tanishk suits from Delhi, India. We are a leading Manufacturer of bollywood suits, exclusive salwar suits, exclusive anarkali suits, exclusive designer suits and exclusive fancy suits from Delhi, India. 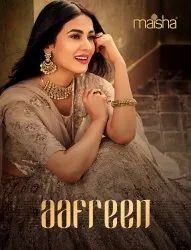 Prominent & Leading Manufacturer from Delhi, we offer aafreen aadira suits, party wear exclusive suits, maisha suits, nafeesa by jinaam suits and georgette anarkali suits. Our product range includes a wide range of kitty party wear suits, pakistani suits, party wear suits, bollywood designer lehenga and georgette suits. 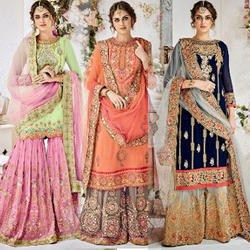 We are a leading Manufacturer of party wear suits from Delhi, India. 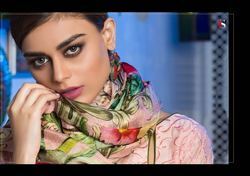 Offering you a complete choice of products which include cotton suits, zara ladies suit fabric vol 3 by volono, heenaaz salwar kameez vol 54 by mf, fashion salwar kameez and ladies banarasi silk suits. Prominent & Leading Manufacturer from Delhi, we offer recharge kurti, weightless georgette kurtis, weightless georgette kurti, printed georgette kurti and printed cotton kurti. Pioneers in the industry, we offer exclusive designer salwar suits, exclusive georgette designer suits, exclusive designer anarkali suits and exclusive designer suits from India. Leading Manufacturer of sadaa suits, cotton suits, indian suits, indian ladies suits and indian designer suits from Delhi. 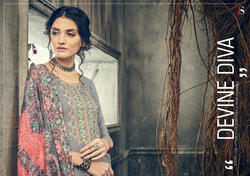 Offering you a complete choice of products which include pashmina suits and ladies woolen suits. 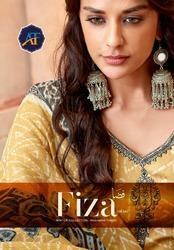 Our range of products include winter wear ladies suits, pashmina suits and pashmina kurti. 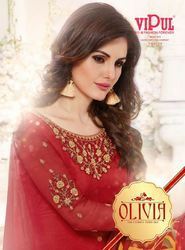 Manufacturer of a wide range of products which include ladies suits, ladies suits collection, fancy ladies suits, beautiful ladies suits and patiala suits. Leading Manufacturer of solitaire kurti by four buttons, hello summer kurti, womens cotton kurti, kitty party kurti and cotton kurti from Delhi.